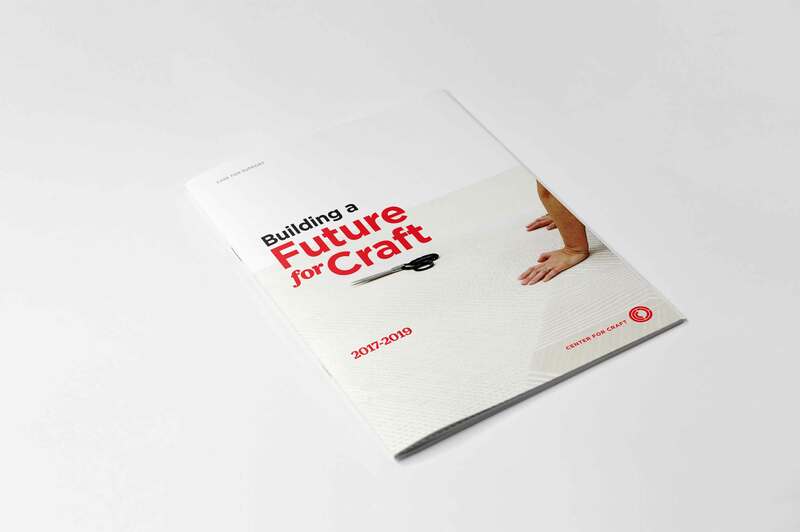 We’ve embarked on our first comprehensive fundraising campaign called Building a Future for Craft. It means your gift will allow us to make big moves for the field of craft. Your gift supports the best and brightest emerging makers and scholars and advances the national field of craft. 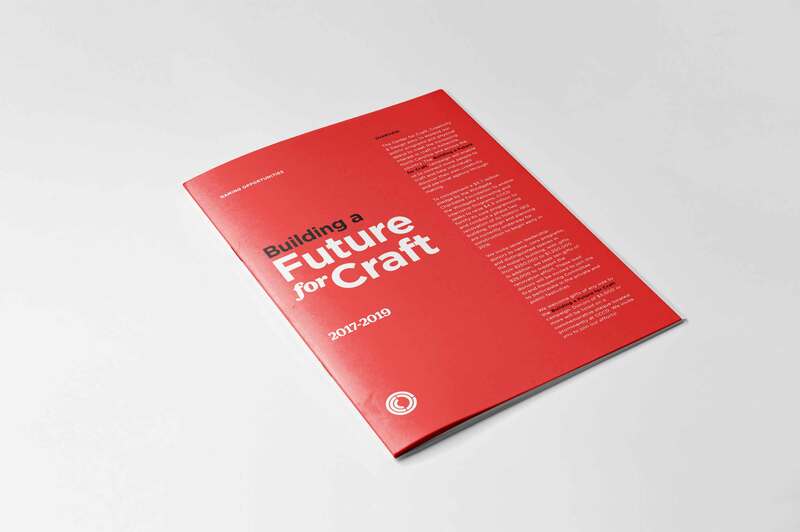 Invest in Building a Future for Craft. Gifts will support the next generation and nurture the field of craft through grant-making and programmatic initiatives. Support the Center for Craft by making a one-time donation or monthly contribution. Align your craft brand with the Center for Craft through exhibition, program, reception, and event sponsorship! Gifts will strengthen the core programming of the center, provide funding for emerging talent and open our doors to more visitors, while we continue to invest in the next generation and nurture the field of craft through grant-making and programmatic initiatives. 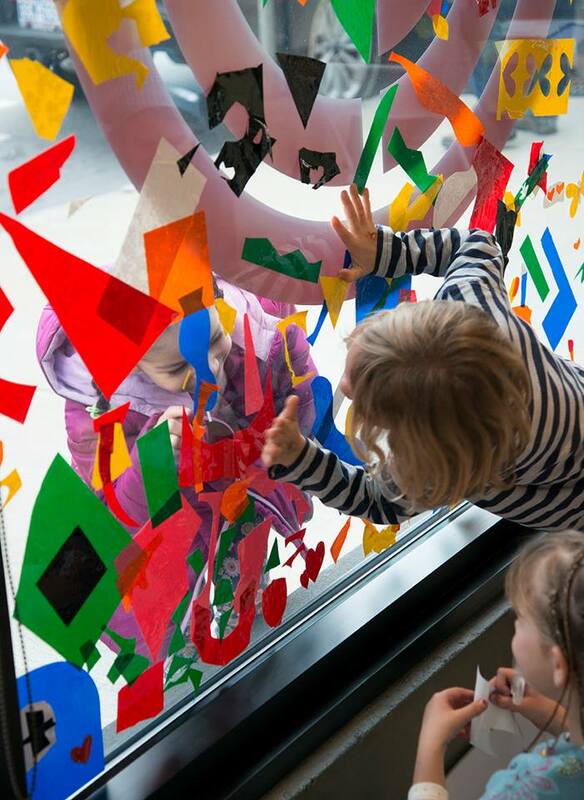 One–time gifts to the Building a Future for Craft campaign are quick yet have a lasting impact. Commitments may be made in any amount, and all gifts will be acknowledged. Multi–year gifts to the Building a Future for Craft campaign may be fulfilled over as many as three years. These gifts may be cash, securities, or planned gifts. The campaign presents a special opportunity for major donors to make commitments that will name public galleries and other principal spaces, as well as gifts to name programming. All donors to the campaign of $5,000 or more will be listed on a commemorative plaque to be located prominently at the Center for Craft. 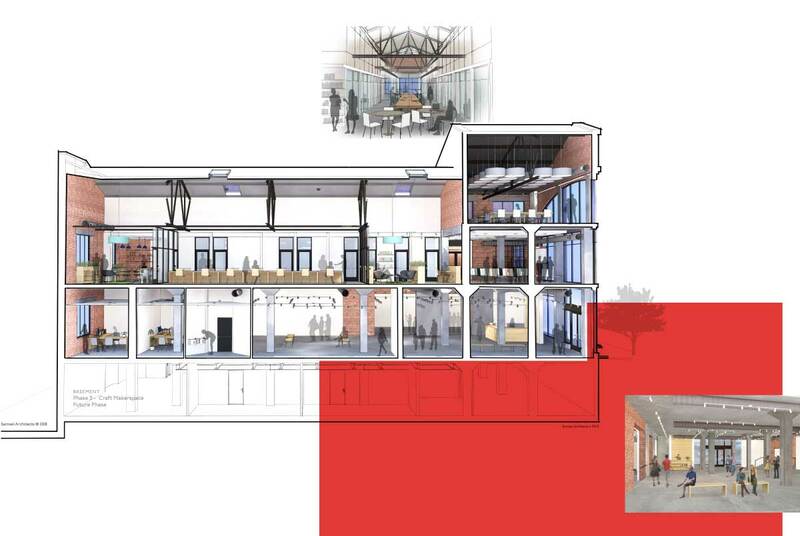 Since the purchase of the Center for Craft’s building in 2013, the organization has experienced significant growth, from 600 visitors in 2012 to 10,420 visitors in the new building the first year. 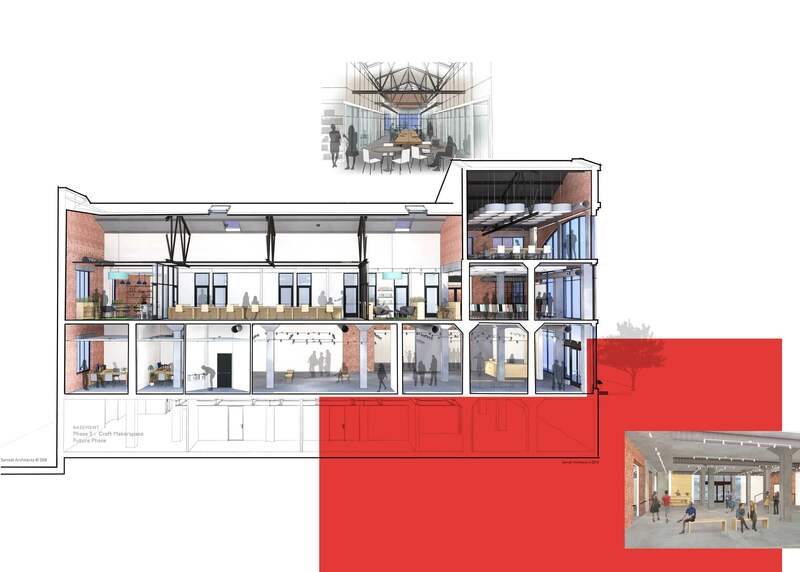 To fortify our programmatic offerings and restore a 21st century facility to accommodate the visiting public, we embark on Building a Future for Craft to raise $11 million. Windgate Foundation has endowed $5.7 million for the Stoney Lamar Craft Endowment for the purpose of the Windgate Fellowship and Internship Programs. This endowment gift provides funding opportunities for emerging talent in perpetuity, and serves to inspire the community to also invest in our vision of Building a Future for Craft. Gifts from the community will strengthen our core programming and open our doors to more visitors, while we continue to invest in the next generation and nurture the field of craft through grant-making and programmatic initiatives. The need is now at hand to honor a legacy of investment in the next generation, by addressing current programming needs and building toward a bright future. Building a Future for Craft is the first comprehensive fundraising campaign of the Center. Gifts to the Building a Future for Craft campaign may be made as one-time commitments or pledged and fulfilled over as many as three years. These gifts may be cash, securities, or planned gifts. Commitments may be made in any amount, and all gifts will be acknowledged. The campaign presents a special opportunity for major donors to make commitments that will name public galleries and other principal spaces, as well as gifts to name programming. All donors to the campaign of $5,000 or more will be listed on a commemorative plaque to be located prominently at the Center for Craft. The campaign presents a special opportunity for major donors to make commitments that will name public galleries and other principal spaces, as well as gifts to name programming. Vestibulum id ligula porta felis euismod semper. Nullam quis risus eget urna mollis ornare vel eu leo. Vivamus sagittis lacus vel augue laoreet rutrum faucibus dolor auctor. Praesent commodo cursus magna, vel scelerisque nisl consectetur et. Integer posuere erat a ante venenatis dapibus posuere velit aliquet. You can make a difference at the Center for Craft in many ways. Your generosity helps strengthen our mission and create more opportunities for emerging makers across the nation and in the local community where we're headquartered. See below how you can make your impact on the national field of craft through the Center. Support Center for Craft by becoming an exhibition, program, reception, or event sponsor! Sponsors enable the Center to offer low cost or free events and programs, making them more accessible for all. Donor advised funds allow individuals to make a larger investment into a tax-exempted account to be distributed to charitable causes over time. Please let your sponsoring organization know that you would like to use your fund to support Center for Craft. You can transfer stock directly to Center for Craft! Please contact your broker and ask them to fill out our gift of stock form here. We ask that you or your broker contact the Center to help us be on the alert for the stock you are donating and the number of shares. Planned giving can increase your giving potential both now and in the future. Donors can choose from a number of different options including bequests, real estate, life insurance, retirement plans, charitable gift annuities, and charitable trusts. Please consult your personal legal, tax, and/or financial advisor to see if this might be the right option for you. When you shop at Amazon Smile, Amazon donates 0.5% of the purchase price to the Center. AmazonSmile is a website operated by Amazon with the same products, prices, and shopping features as Amazon.com, the only difference is you can support Center for Craft while you shop. 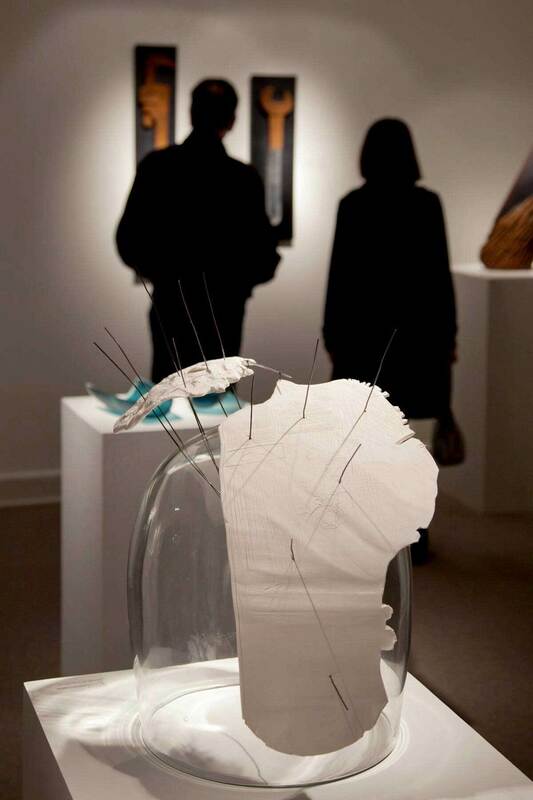 Support Center for Craft by becoming an exhibition, program, reception, or event sponsor! Sponsors enable the Center to offer low cost or free events and programs, making them more accessible for all. For more information about sponsorships, please call Katie Cornell, 828-785-1357 x 110, or e-mail giving@craftcreativitydesign.org. If you have any questions, please feel free to contact Katie Cornell at giving@craftcreativitydesign.org. You can also contact giving@craftcreativitydesign.org to learn more about different planned giving options. Visit smile.amazon.com to sign up today. Share in the Center for Craft’s vision of increasing the value and relevance of craft to society by supporting the Center as a corporate partner. Align your craft brand with the Center through exhibitions, programs, receptions, and event sponsorship. Align your craft brand with the Center for Craft through exhibition, program, reception, and event sponsorship! Each year, the Center receives significant support in the form of corporate contributions, donated products, services, and media promotion that help supplement its programs. If your company or corporation has a matching gift program, please fill out the employee information section of their matching gift form and send a copy with your donation to the Center for Craft. Vestibulum id ligula porta felis euismod semper. Nullam quis risus eget urna mollis ornare vel eu leo. Vivamus sagittis lacus vel augue laoreet rutrum faucibus dolor auctor. It’s the generosity of our supporters that allow the Center for Craft to advance the understanding of craft by encouraging and supporting research, critical dialogue, and professional development in the United States.